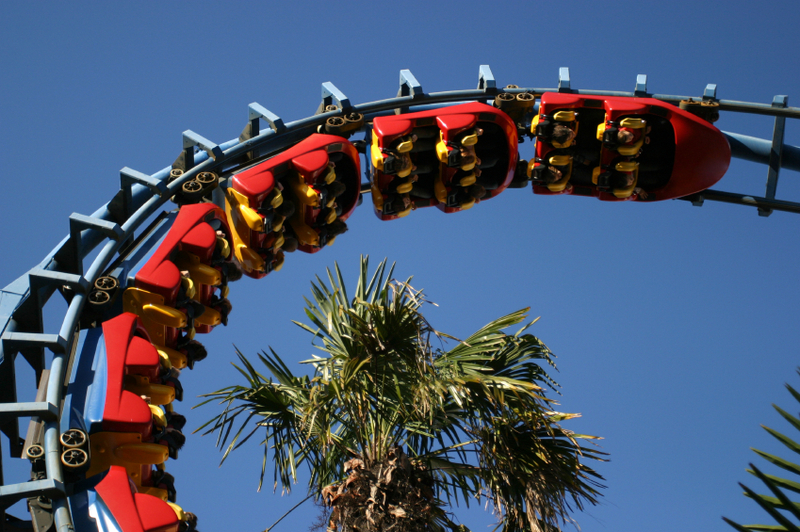 Spending a few days at a theme park could be just what you need to break away from the daily grind and enjoy some fun activities with friends and family members. If you’re a Florida resident and can provide proof of residency, you are eligible for discounts on theme park admission and annual passes. The Walt Disney World Resort also offers military discounts and seasonal offers where you may be eligible for a discount on tickets for larger parties. Members of AARP can earn extra days at the parks when purchasing a 3-day Magic Your Way with Park Hopper ticket. If you’re already in the Orlando area, consider buying tickets from a ticket broker at a discounted price. Book a vacation package or order tickets from AAA for exclusive member discounts year round. Whether you are visiting Universal Studios in Orlando, Florida or Universal City, California, you can enjoy the parks at a discounted rate with a little planning. Purchasing tickets in advance from the official Universal Studios website can save you $20 off the gate price of a multi-day ticket. If you plan on visiting the parks several times over the course of the year, consider buying an Annual Pass for unlimited access for a set price minus any blackout dates. AAA members are eligible for Universal Studios discount tickets at the gate and when purchasing tickets in advance online. Florida, Georgia, and California residents are eligible for local resident promotions throughout the year and military members can take advantage of Universal Studios discount tickets year round. LEGOLAND offers discount admission with its Annual Pass program and discounts for U.S. military members. If you are a Visa card holder, purchase tickets online for 20% off a single-day ticket to LEGOLAND Florida when you purchase with your Visa card. When you’re heading to LEGOLAND in California, get free admission to LEGOLAND California and other area attractions by purchasing the Go San Diego Card by Smart Destinations. Six Flags Great America theme parks across the country offer plenty of fun and thrills each season and you can win park tickets by entering the daily drawing right on the Six Flags corporate website. Six Flags Season Passes provide unlimited visits at any Six Flags theme park and discounts on tickets for friends and family members. AAA members can save $5 off general admission tickets when they show their card at the ticket booth for up to six tickets. Military members can check in with their military base for discounted admission tickets through the MWR/ITR office. SeawWorld is running a 50% off Celebration Ticket special in 2014 in honor of its 50th Celebration which means you can buy one ticket and get on half price. Military members may be eligible for one complimentary admission to SeaWorld, Busch Gardens, Adventure Island, Water Country USA, Sesame Place, or Aquatica SeaWorld’s Waterpark through the Waves of Honor program. If you’re a AAA member, check in with your nearest office for discounts of up to 15% off SeaWorld tickets online and $5 off multi-park and passes at the gate, as well as $3 off general admission at participating parks.